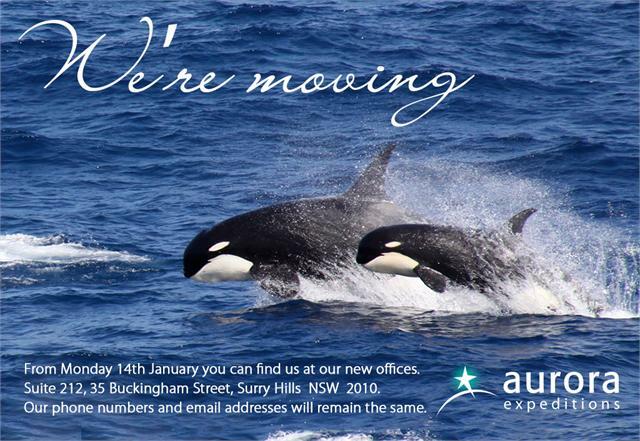 The small ship, expedition and adventure cruise ship fleet is continually on the move. 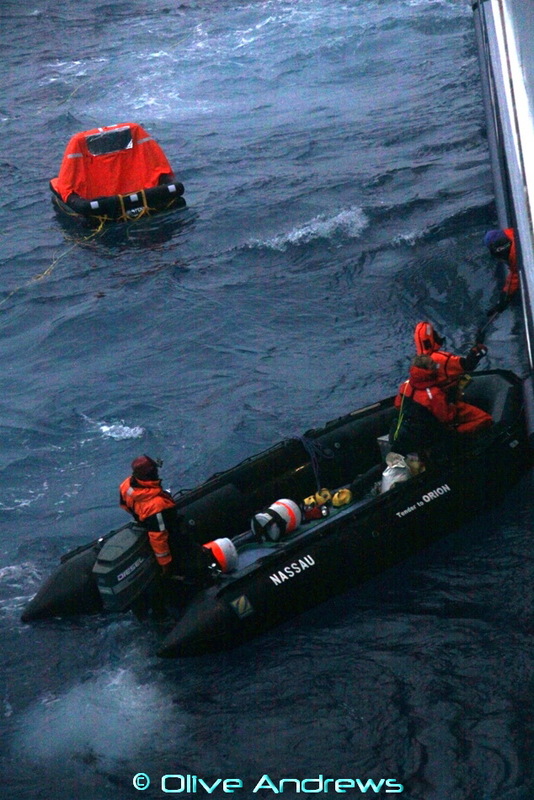 Not just on the world's oceans, but between operators, owners and cruise lines. Typically a ship is owned by an individual, an investment group or an instrumentality, like the Russian oceanographic ships, and managed by a specialist organisation like International Shipping Partners (ISP) in Miami. Ships are then chartered or leased to a cruise line that will sail it under their brand. Expedition ships, in particular, are a promiscuous variety, hopping from one line to another with new a persona as circumstances change. Here is a short summary of some of the better known expedition ship movements over the last 12 months. Corinthian II (one of the eight Renaissance class ships, R7) will conclude eight faithful years with US operator, Travel Dynamics, and be renamed Sea Explorer. 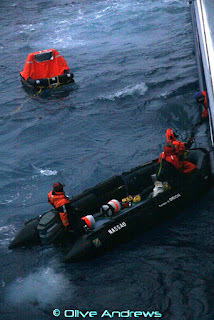 She will begin with newbie operator Polar Latitudes in March 2013. 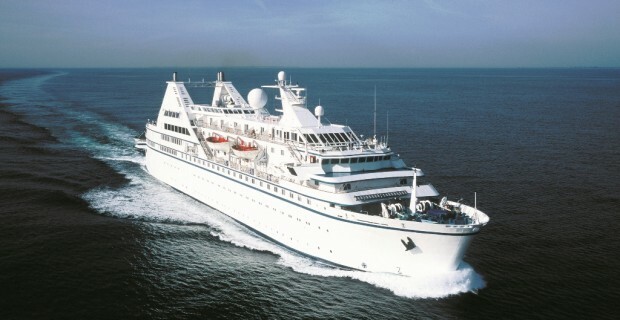 Orion II, once Clelia II (another Renaissance class ship, R4) after a shortened stint with Orion Expedition Cruises, is being returned to Travel Dynamics as Corinthian. She's had a tough life. Hebridean Spirit (R6) became Caledonian Sky after Australian APT took a strategic stake in high-end adventure company, Noble Caledonia. 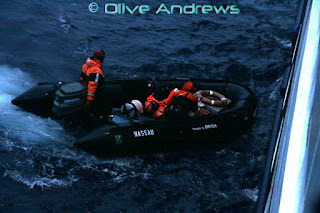 She's heading to the Kimberley for the 2013 season (CW 02 Oct 12). Sea Spirit (R5), once Spirit of Oceanus when with failed US cruise line, Cruise West, returns to Quark after a 2012 northern summer season with Dutch line, Oceanwide Expeditions. 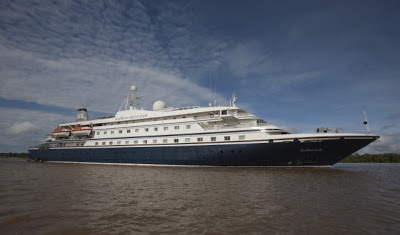 Ocean Diamond left service with Ponant Cruises at the end of 2011 where she sailed as Le Diamant. 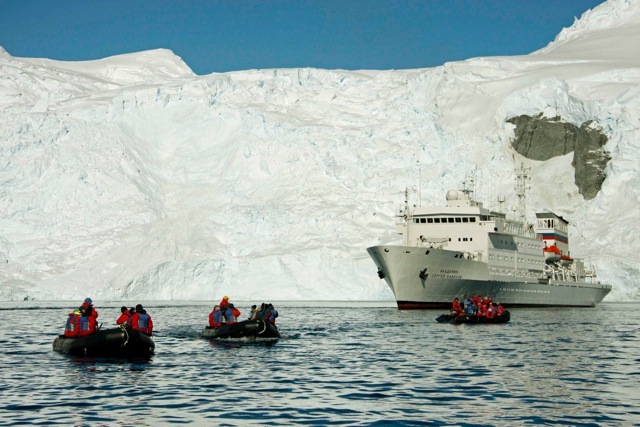 Quark will return her to service beginning this Antarctic season. Built in 1974 as a cargo ship, she was converted for cruising in 1986 and is nearing the end of her service life. 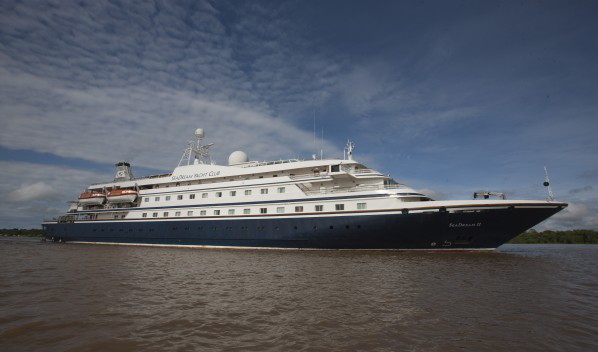 Clipper Adventurer, an elegant and trusted vessel, if somewhat long in the tooth, became Sea Adventurer in 2012 and will sail for Quark and Zegrahm in 2013. Built in 1975 in the former Yugoslavia, she is a twin of the Lyubov Orlova (sometimes unkindly referred to as 'lube oil all over') which, after languishing for many months under arrest in Nova Scotia, now seems destined for the breakers. 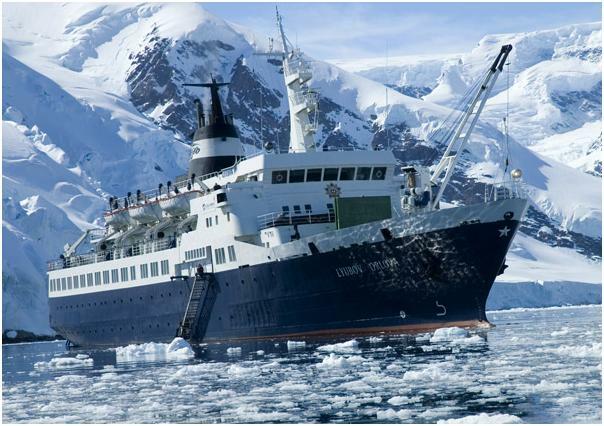 MS Andrea, a delightful little 1960-built former Hurtigruten coastal vessel (Harald Jarl) seemed doomed when her US owners went bust in 2008. Increasingly strict regulations made the cosy cruiser a liability, but it seems she will return to service this year under new Russian owners as MS Serenissima. Find her itineraries with Noble Caledonia. Akademik Sergey Vavilov, one of the most trusted and well-travelled ice-strengthened oceanographic vessels joins Andrew Prossin's One Ocean Expeditions this year after stalwart service with Quark. 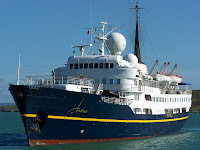 This writer completed his first expedition cruise in 1998 aboard this vessel while with Quark. The sister ship, Akademik Ioffe, began operations with OOE in 2010. Le Levant departs Ponant Cruises after entering service with the French-flagged line from new in 1998. The sleek 90-passenger luxury vessel will be operated from this year by Paul Gauguin Cruises in French Polynesia after a comprehensive refit and overhaul. Marina Svetaeva, the sturdy 1989-built Arctic ferry, bought by Aurora Expeditions founders Greg and Margaret Mortimer in 2008 soon became a burden. After sale to Dutch line, Oceanwide Expeditons, it became Ortelius and just completed its first year of service with new owners. Roderick Eime writes regularly on small ship and expedition cruising for Cruise Weekly. We are waiting for official word from the cruise line. The American Queen Steamboat Company announced it is cancelling the February 7 and February 15, 2013, voyages of the American Queen. The boat will spend this extra time in the shipyard providing engineers the opportunity to build a completely new and more durable paddlewheel drive shaft, while re-building and reinforcing the fabled paddlewheel. These repairs will take place in addition to her annual refurbishments that include such enhancements as painting and wall papering public spaces and staterooms, the addition of a new Front Porch Café and décor updates to the J.M. White Dining Room and Engine Room Bar, to name a few. The American Queen is now scheduled to sail her first voyage of the season on February 23, 2013, roundtrip from New Orleans. For more information, visit www.americanqueensteamboatcompany.com. Like The Gauguin, The Moana offers an elegant yet casual ambiance, luxurious accommodations, gourmet dining, trademark Polynesian hospitality, and extraordinary all-inclusive value. At 330 feet long and 46 feet wide, The Moana has a draft of 11.5 feet, and accommodates 90 guests with a staff of 60. The ship's 45 oceanview staterooms, 8 which offer private balconies, feature a king-size bed donned with fine linens and feather-down duvet; a flatscreen TV; DVD/CD player; iPod® docking station; in-stateroom refrigerator replenished daily with soft drinks, beer, and bottled water; robes and slippers; spacious closets; and a bathroom with sumptuous bath products. Head off to the outer islands of Fiji with Blue Lagoon Cruises and Tui Tai. 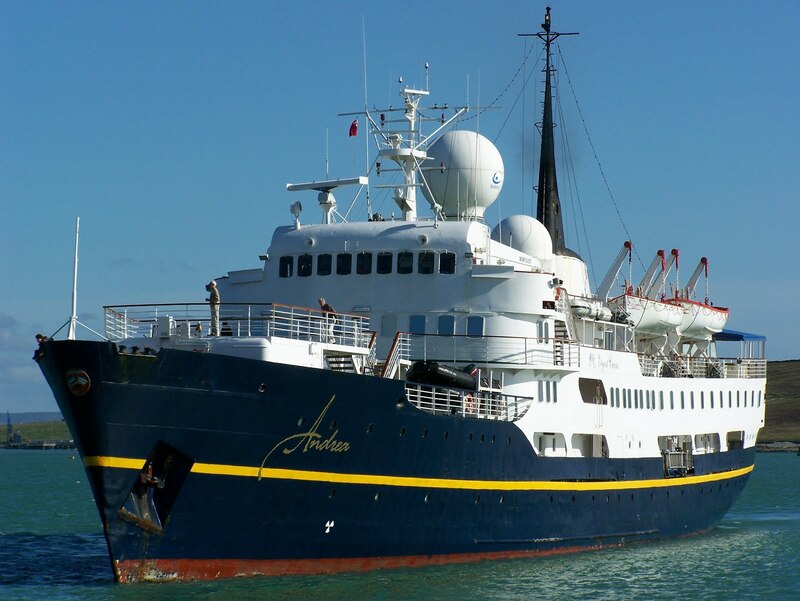 INNERSEA Discoveries/American SafariCruises has rebranded itself under the company name Un-Cruise Adventures. 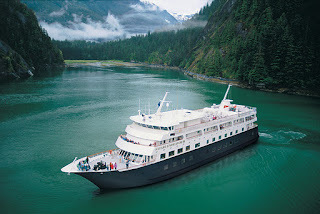 The company currently operates the boutique vessels Safari Quest, Safari Explorer, Safari Endeavour, Safari Legacy, Wilderness Adventurer, Wilderness Discoverer, and Wilderness Explorer in Alaska, Hawaii, the Sea of Cortes, and along the US Columbia and Snake rivers; as well as coastal Washington and British Columbia. “What began as yacht cruising under the American Safari Cruises name has now expanded to include more styles of Un-Cruise Adventures, and this name change reflects that growth,” said company ceo Dan Blanchard. 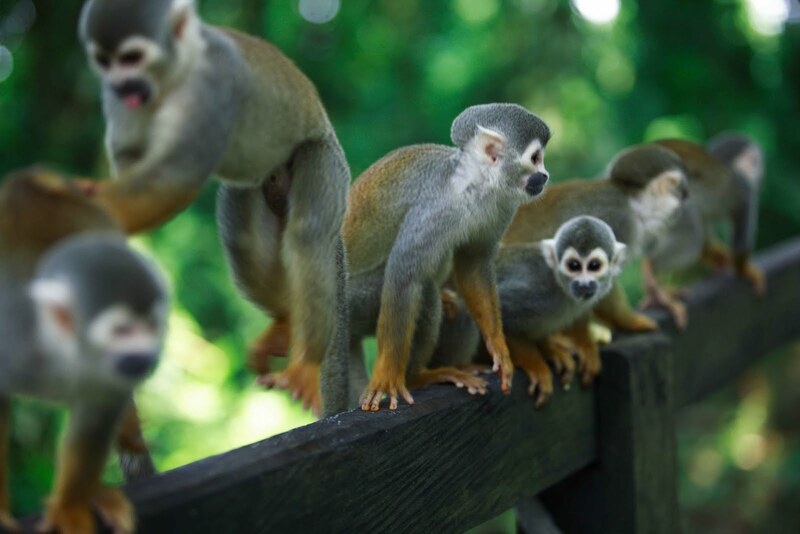 Scenic Tours, a leading operator of all-inclusive luxury escorted tours to Asia, is taking their guests on a luxury boutique cruise along the Mekong River on their South East Asia tours. The seven night 5-star cruise on board The Jahan sails from Saigon in Vietnam to Siem Reap in Cambodia. Guests will discover Cai Be's colourful floating markets and experience Vietnam's fish farming capital Chau Doc by boat and cyclo. They will visit Phnom Penh, famous for its charm and striking Royal Khmer and French Colonial architecture, and Kampong Cham to encounter monks in saffron robes, pagodas and stunning hilltop temples. With the intimacy of boutique service on board and with a personal size of 26 luxurious staterooms, starting at 30 metres square in size, The Jahan is the most luxurious vessel on the Mekong River, leading the way in boutique river cruising. Its large staterooms boast a timeless colonial Raj design and the floor-to-ceiling glass doors that lead to a private balcony offer panoramic views of Mekong River life. Guests may wake up to sunrise Tai Chi on the Sun Deck, relax in the pool, attend a lecture or Vietnamese and Khmer cooking class and witness traditional dance performances. The finest Vietnamese, Cambodian and Western cuisine is served on board, from a Prosecco breakfast on their private balcony, afternoon tea at the observatory, a drink at the elegant Funnel Bar at sun set, or a barbeque dinner feast at the Pool Deck. Scenic Tours are currently offering partner fly free including taxes for bookings made by 31 March 2013. 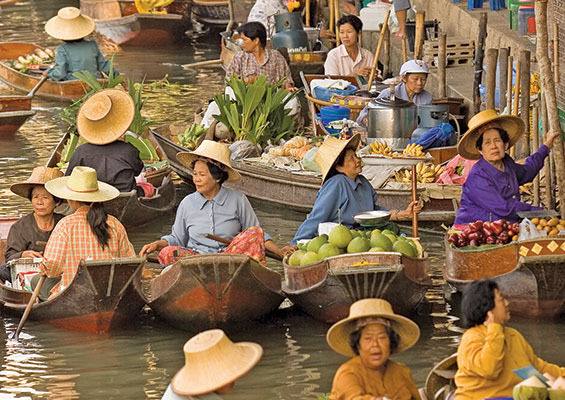 Prices on the 19 Day Journey Along the Mekong start from $7,220*pp twin share. Price includes return flights for the second person travelling with taxes exiting Sydney, Melbourne, Brisbane, Perth and Adelaide; and 19 day tour including seven night cruise, all accommodation, most meals, all activities, airport transfers, and all tipping and gratuities. Call Scenic Tours 1300 723 642. Travelers interested in marine biology, photography or with young kids in tow have a choice of 10 sailings this winter in Hawaii and Mexico’s Sea of Cortés with Un-Cruise Adventures. Photography and marine biology theme cruises include an expert guest host on board for the week. Presentations will be held in the lounge and passengers are free to interact with the host on board or during excursions. One-on-one time allows for questions to be answered and hands-on help with photography. ‘Kids in Nature’ departures cater to families traveling with children 12 and younger. The expedition team gears the program to a variety of ages and activity levels with a focus on educating kids of all ages. Hiking excursions, kayaking trips, skiff explorations and snorkeling are among the activities. Theme cruises in Hawaii include the Jan. 5 ‘Photography and Whales with Flip Nicklin,’ a top whale photographer. The March 9 and 30 spring break departures are ‘Kids in Nature’ cruises, while the April 6 sailing theme is ‘Photography with Peter West Carey,’ a professional photographer whose love for travel has taken him around the world. In the Sea of Cortés, the Jan. 12 departure focuses on marine biology with Rodrigo Rocha Gosselin, a La Paz, Mexico, resident passionate about conservation and nature. Feb 16’s ‘Photography with David Julian’ features a professional photographer with 30 years of experience, while March 16’s ‘Photography with Ellen Barone’ highlights an intrepid traveler, freelance writer and photographer. The March 30 cruise hones in on marine biology with Giovanni Malagrino, a professor of marine biology, while the March 9 and 23 spring break periods offer ‘Kids in Nature’ themes. In Hawaii, the 36-passenger Safari Explorer sails seven-night cruises between Hawaii, the Big Island, and Lanai with two days of activities on Molokai. Flexible yacht itineraries focus on the leeward side of the eastern-most Hawaiian Islands with explorations of four islands—Lanai, Molokai, Maui and Hawaii. In the Sea of Cortés, the 86-passenger Safari Endeavour sails round-trip La Paz on an unstructured itinerary that explores hideaways such as Isla Espíritu Santo, Isla San Francisco, Bahia Agua Verde, Los Islotes and Loreto. 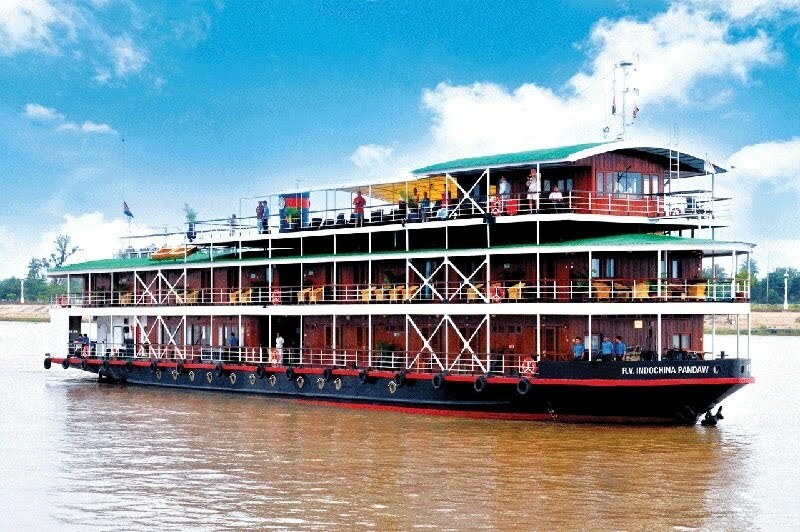 For 2013/2014 Pandaw will offer, in addition to our regular 8-day 7-night cruise between Saigon and Siem Reap via Phnom Penh v.v., shorter cruises between these cities of 4 or 3 nights. Saigon - Phnom Penh or v.v., or Siem Reap - Phnom Penh or v.v. 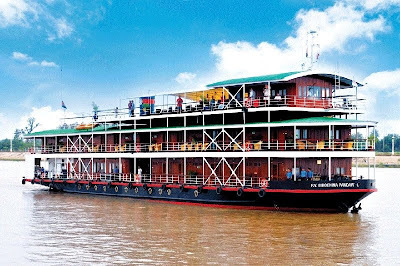 These shorter cruises will be operated by the RV Mekong Pandaw. See attached for any information about itineraries and dates of sailing for all Mekong Cruises until March 2014. Pandaw will also operate 4 ships in Myanmar this year.